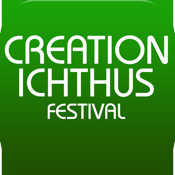 Creation Ichthus is a Christian Music Festival in Lexington, KY. The festival plays host to many of the top Christian bands and speakers. The Creation Ichthus Experience is like no other and includes four days of jam-packed days of music, teaching, activities, community and camping - a summer filled with fun and purpose. Download the app to make the most of your festival experience! Line Up - Check out who will be performing, when and where. Switch to grid view for a quick glance, then dive deeper to learn about the performers. Schedule - Create your own line up by scanning your music to get a quick start towards the perfect schedule. Then share it with your friends on Facebook. Map - Check out the grounds, sent your tent location so you can always find your way back. Have an compass guide you to the venue or stage. Social - Check out what people are saying, become part of the larger Creation Ichthus community. Share, post, and engage! Info - Get all the important information and details about the festival and how to prepare. Tickets - Purchase your tickets right from the app. It’s easy and then you can get your mobile ticket right on your phone.